Buying Tickets at Szechenyi Baths – Now Online! 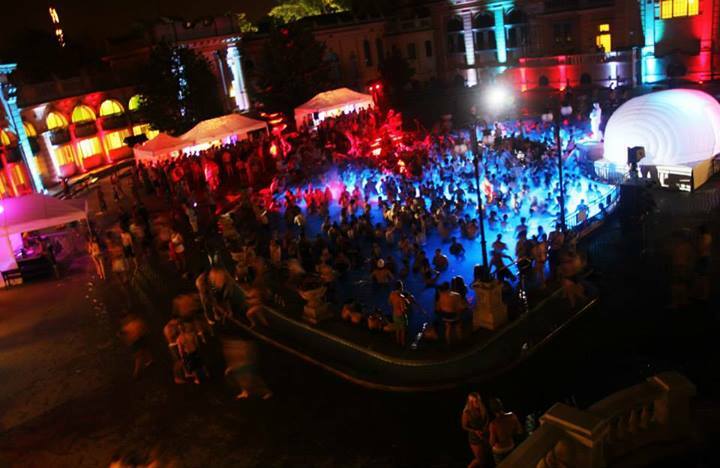 Szechenyi Baths in Budapest is very popular in the summer, actually it is the most popular Budapest bath when it comes to thermal baths or when it comes to Budapest bath parties!. No wonder it is one of the ‘not to be missed’ or top things to do in Budapest if you are a first timer. Yet, so far you could only buy tickets by standing in the long line at the spa baths (even though there are multiple entrances where you can buy various tickets) and not on the internet. Now the good thing is that finally they seemed to have found a way to start selling baths tickets online via a Hungarian tourism company. 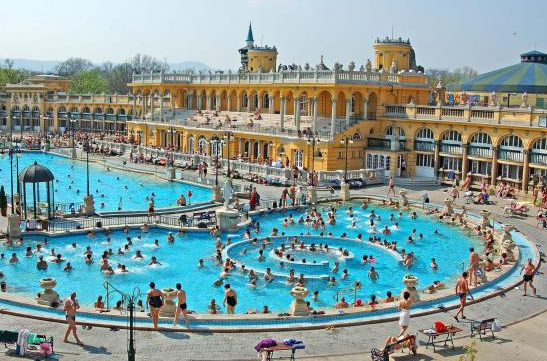 Here’s how you can do it: fill out an online form, and get a skip the line ticket at the same price you would buy at the cashiers in Szechenyi Bath. The Hungarian Forint Bath Ticket is the original price, the Euro conversion may change with the current rates. I think if you visit Budapest in winter time it may not be necessary to buy tickets in advance (unless your schedule is tight, or you come for the Budapest Christmas holidays) but in summer time when hundreds of thousands of tourists come to Budapest, it may be a very comfortable way to get in (practically almost the same price as bought in person from the baths cashier). You can also book a massage in Szechenyi Baths (with the original, authentic massage therapists of the baths) in advance. Keep in mind that there are 4-5 private massage companies besides the massage therapists of Szechenyi Baths itself (prices widely differ). So you can never be sure what a Szechenyi Baths massage review is about: is it about the official massage therapists of the world famous thermal baths in Budapest, or is it one of the entrepreneurs renting the place? What could be more relaxing than that? Avoiding the ticket lines and lying in a happy haze under the good hands of a fine masseur or masseuse. I would reschedule many things for a good massage. At Szechenyi Baths? Right now!